Craft Oversized Items On the Go to Overcome New Obstacles in the Latest Alchemist RPG from the Beloved ‘Atelier’ Series, Headed to PlayStation 4, PlayStation Vita and Steam. Synthesis is an integral aspect of each Atelier title, and in turn, each alchemist’s adventure! Throughout her unusual journey, Firis will devise handy new recipes as she explores the vast land, encounters new companions, and discovers new materials. To match her wanderlust lifestyle, Firis’s Atelier takes the form of a portable Atelier Tent that enables her to synthesise wherever she may please. The Atelier Tent can even be personalised with a variety of keepsakes from her adventures, making it feel like her second home! 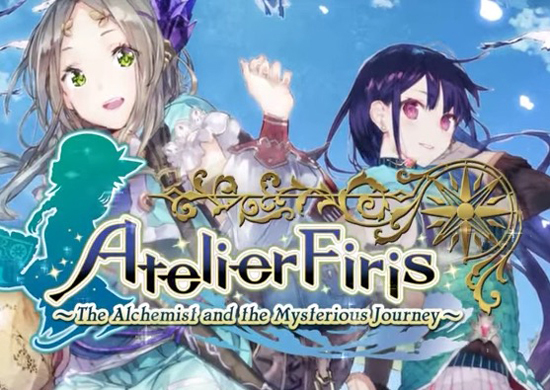 The Synthesis system in Atelier Firis: The Alchemist and the Mysterious Journey features exciting new additions to suit its newly nomadic nature. For example, Mass Synthesis allows Firis to create large items to overcome obstacles in her path, such as building a bridge to cross a river, or a boat to cruise across a lake. Deciding what to build not only changes the appearance and accessibility of various locations, but can also affect the course of the story! Furthermore, the effectiveness of items can be amplified with the use of special Catalysts, which grant bonuses and provide greater perks to the end result. Finally, Koei Tecmo revealed today the bonuses available to those who pre-order Atelier Firis: The Alchemist and the Mysterious Journey. Specifically, two adorable costumes which give Firis useful bonuses will be offered with all pre-orders. The Resort Vacation costume increases the chances of finding high quality materials for use in synthesis, whilst the Wonderland outfit decreases the time it takes for synthesis and fast travelling between landmarks! A batch of new assets was released today offering a first look at the Atelier Tent system and introducing a delightful cast of characters including Angriff Dahlmann, an aged and hearty mercenary, and a set of alchemists; the highly skilled Ren Breitner, the carefree Norbert Classen and the clumsy Dion Maier.